Consumers demand digital. 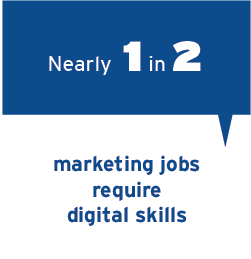 Reaching them with the right message, at the right time, requires a responsive and agile digital marketing strategy. The best digital marketers are curious, adaptable and constantly plugged-in to current trends, staying one step ahead of their most valuable customers so they can meet their needs seamlessly. 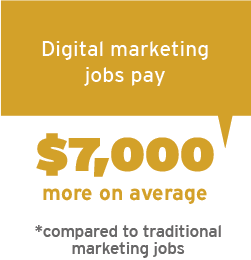 Our suite of part-time and full-time digital marketing programs are powerful career enhancers, regardless of your experience level or educational background. Whether you’re looking to add digital marketing skills to your existing toolkit, or want to use content marketing strategies to amplify your voice across digital channels, you’ll find something here that will take your career to the next level, faster. 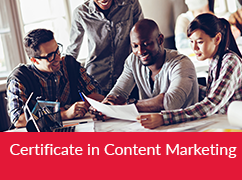 Both the Certificate in Digital Marketing and Certificate in Content Marketing can be completed part-time in 6 months. 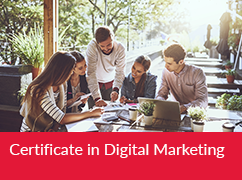 Want to enhance your degree with a solid foundation in digital marketing? 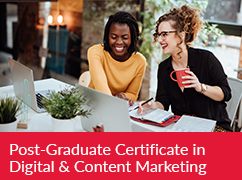 Our Post-Graduate Certificate in Digital & Content Marketing can be completed full-time in 8 months. 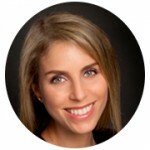 The world of digital marketing changes so quickly, it can be hard to know where to start. Don’t worry! 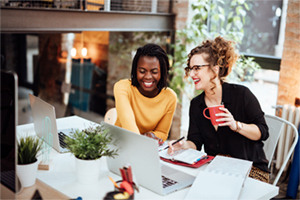 If you want to make your dream career a reality, faster than you thought possible, enroling in one of these programs could be a life-changing decision.